Not exactly fan-art, but Mark Gibbons is cool. Just had to ask him for a non-blurry Dark Troll pic, and he dug it up for me. Awesome guy. Last edited by Krakhed; 04-04-2018 at 12:25 PM..
Just a link, Nothing special. Work in progress for the cover of my "Warcraft 3 ComicBook". Last edited by Kembei; 07-07-2018 at 12:18 PM..
Another work, featuring Grom Hellscream in his throne of Ashenvale Forest, during the battle against Thrall in Warcraft 3. Scene inspired on the mission "By demons be driven". This illustration is part of a comicbook I am creating called "Memories of War". 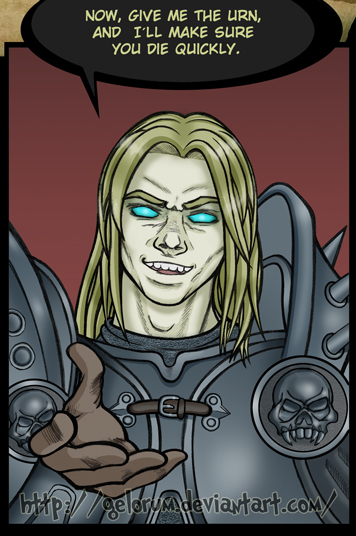 This comicbook will deal with events and characters of "Warcraft 2 Tides of Darkness" and "Warcrat 3 Reign Of Chaos". I will upload some completed pages in the next months. Thrall is planing to attack Grom Hellscream, with the help of Cairne Bloodhoof. This scene is part of the level called "By demons be driven" in Warcraft 3. This illustration is part of a comicbook I am creating called "Memories of War". Another page for "Memories of War". 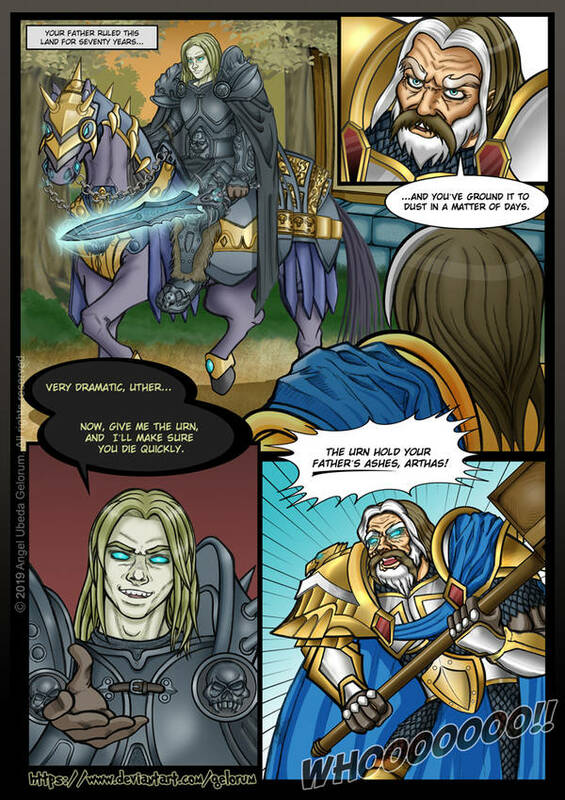 This time featuring Prince Arthas as a death knight about to face is old master Uther Lightbringer. This scene is part of the second chapter of the Undead Campaign in Warcraft 3, called: "Digging up the dead". This panel is part of a comicbook I am creating called "Memories of War". 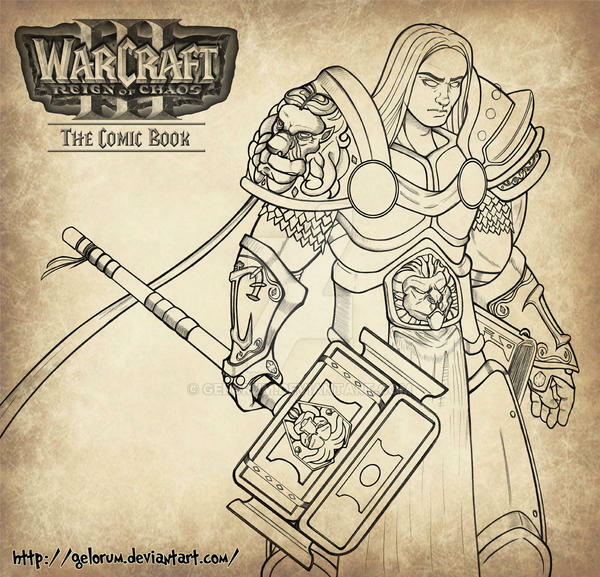 This comicbook will deal with the events and characters of "Warcraft 3 Reign Of Chaos" / "Warcraft 3 Reforged". Last edited by Pepe Stormstout; 03-07-2019 at 01:34 PM..